The first in a new series set in the docklands of London at the end of the nineteenth century. 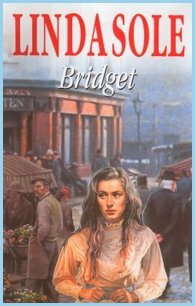 Bridget has always been the one to take on the responsibility for her family, and with a drunken, violent mother, an unemployed brother who can't stay out of pub brawls and a wayward sister vulnerable to the affections of disreputable men, it's hardly surprising. No wonder she falls for cheeky local lad, Ernie Cole. But when she marries someone else, she turns to the kind figure of Joe Robinson, despite his unsavoury dealings with Mr Big and the criminal underworld. Joe and Bridget try hard to keep a hold on their livelihoods and of those around them, but evil threatens and is determined to thwart their happiness.